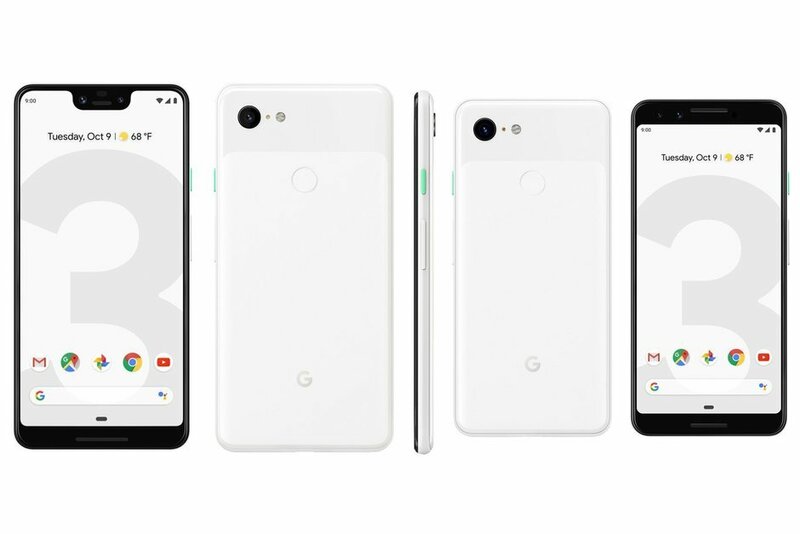 Google Pixel 3 and Pixel 3 XL Officially Unveiled - Playfuldroid! After months of leaks that revealed almost revealed everything about the Pixel 3 and Pixel 3 XL smartphones, google has finally announced these phones today through an unveil event in New York. Here is all the information available on the specifications, features and pricing of the Pixel 3 and Pixel 3 XL. The Google Pixel 3 and Pixel 3 XL respectively features 6.3-inch and 5.5-inch OLED screens. The Pixel 3 has an 18:8 aspect ratio display that supports Full HD+ resolution. The Pixel 3 XL also supports FHD+ resolution on its 18.5:9 aspect ratio display. Both the phones are enabled with display features such as HDR, Always On and Gorilla Glass 5. The Pixel 3 and Pixel 3 XL are fueled by Snapdragon 845 and 4 GB of RAM. Both phones can be availed in 64 GB and 128 GB storage options. Both phones feature dual front-firing speakers, dual 8-megapixel frontal selfie shooters and a 12-megapixel rear camera with f/1.8 aperture. The Pixel 3 has 2,915mAh battery whereas the Pixel 3 XL includes a 3,430mAh battery. The 64 GB and 128 GB Pixel 3 models are respectively priced at 860 euros and 960 euros. The two storage editions of the Pixel 3 XL are also respectively priced at 960 euros and 1,060 euros. The Pixel 3 duo will be available in the U.S. from Oct. 19 whereas the European markets will be receiving them from Nov. 2. The device can be bought in colors like Clearly White, Just Black and Not Pink.